It’s almost an understatement to say that the Japanese are fanatical about desserts. There are monthly magazines dedicated to the ‘in’ cakes and cafes of Tokyo, with every new dessert creation meticulously critiqued and featured, much in the same way Wheels magazine does for the latest four-wheel wonder. During my trip to Tokyo last year, I endeavoured to eat a minimum of one cake per day. I would have needed an entire year (and the metabolism of a race horse) to cover the delights of Shinjuku alone! Amongst all the decadent confections you can possibly have in Tokyo though, one simple dessert stands in my mind as quintessentially Japanese and brings back a flood of memories from my childhood in Japan: Coffee Jelly. Coffee Jelly is pretty much exactly what you’d imagine in that it is a cup of jelly that is coffee flavoured. It’s next to non-existent outside of Japan so you’ll be forgiven for screwing up your nose at the thought of your morning brew being served gelatinised and cold. For me, it’s my first experience with the flavour of coffee (dare I say I had Coffee Jelly before a full cup of coffee) and I love it! 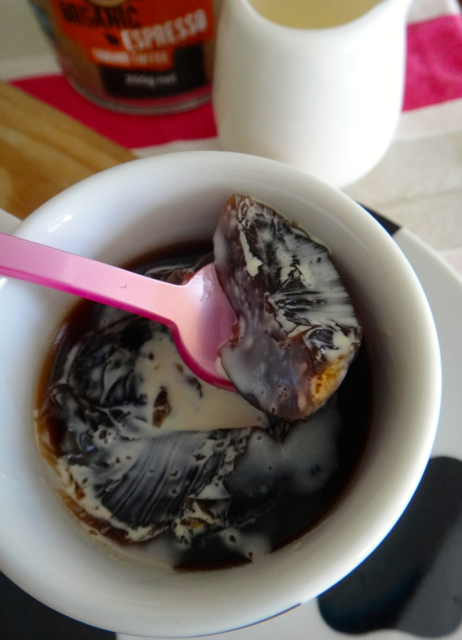 Basically, Coffee Jelly (Koohii Zerii, is the Japanised name to describe the dessert) is sweetened black coffee (often made with instant coffee) that is mixed with gelatine to make jelly. It’s not made too sweet so it’s often considered an adult or a ‘man’s’ dessert. All that you have with it is a small layer of plain cream. 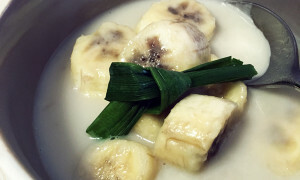 Milk Coffee Jelly is very popular too. 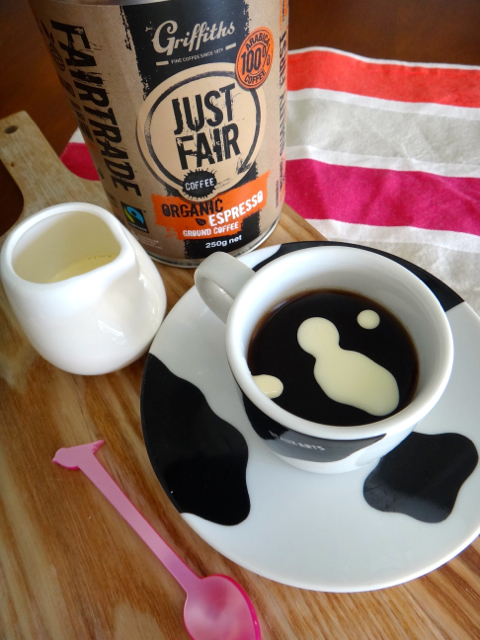 I had been sampling Griffiths Coffee‘s lovely organic, fair trade blend last month which I must say made me feel bad for using milk and sugar to distract from the great flavour. Given how good it was to have on its own, I decided to make some Coffee Jelly with it rather than instant coffee. I read somewhere online that just like cooking with wine, if you wouldn’t drink bad coffee then you shouldn’t cook with it either. So wise! 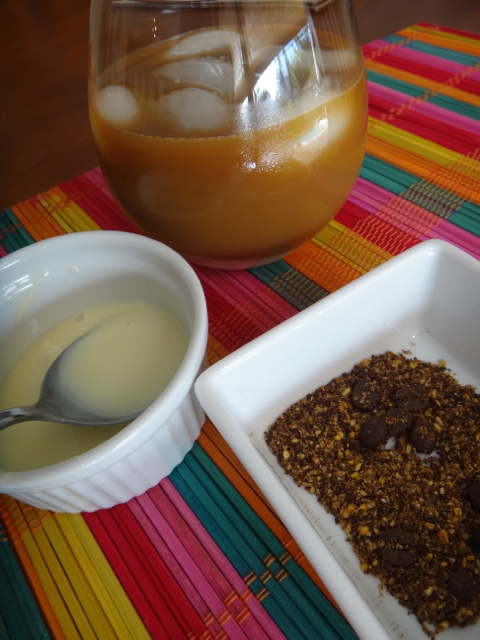 Coffee Jelly can be made without a Thermomix as long as you have the means to brew a good strong coffee but if you happen to have a TMX, then the following recipe is dead easy. I’ve included tips for making it without a Thermomix also. 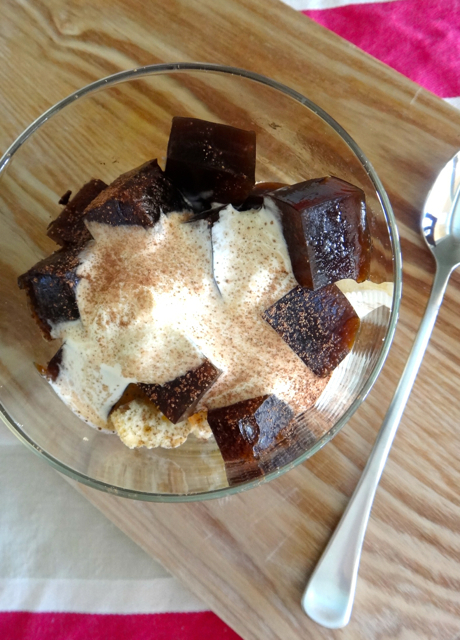 If you’re not too sure how you feel about Coffee Jelly on its own, trying cubing it up and using it in a quick and easy Tiramisu-esque dessert. Just crumble some sponge fingers into a serving glass, drizzle some coffee liqueur, add cubes of Coffee Jelly and a dollop of mascarpone cheese (or creme fraiche), and sprinkle with cocoa or flaked chocolate. Voila! Note: Coffee was provided as a sample to the blogger courtesy of Griffiths Coffee. To Make: Place water and coffee into Thermomix bowl and brew coffee for 8 minutes on 80C, Speed 1. Once brewed, pour coffee through filter paper and return to rinsed out TMX bowl. Add sugar to coffee and mix for a few seconds on Speed 3. Place gelatine in cold water to prepare (or use according to instructions). Once coffee has cooled to 60C, add gelatine to TMX bowl and mix on Speed 2 for a minute until gelatine dissolves. 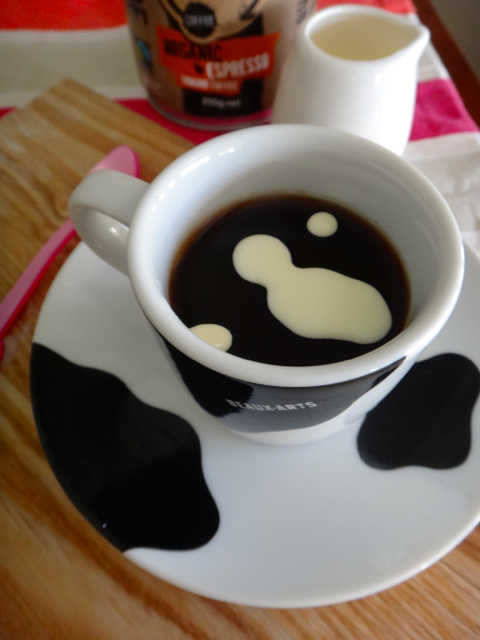 Pour coffee mixture into desired moulds or suitable glass/chinaware (espresso cups are appropriate and cute!) and allow to set in fridge for at least 3 hours. Serve with a layer of cream on top. 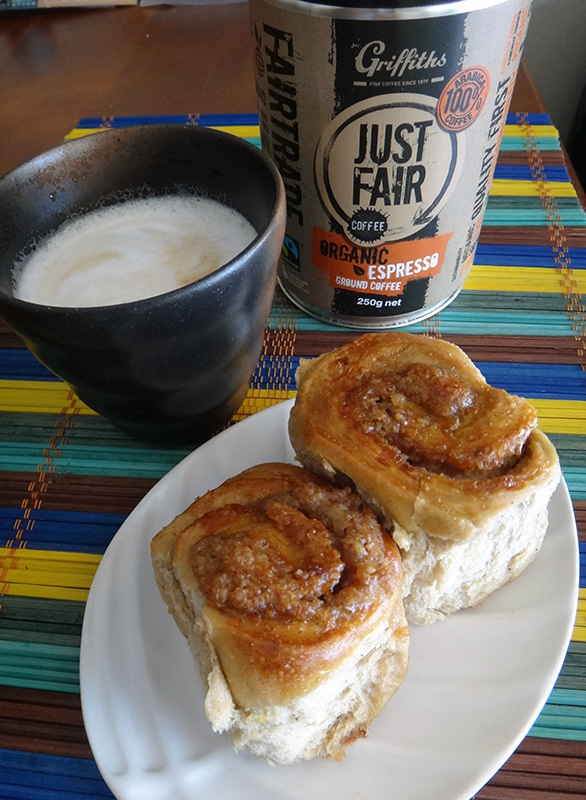 If you do not have a Thermomix, simply brew 500ml of strong coffee and add 2 tbsp of sugar or enough to taste. Once cooled slightly, add gelatine (prepared leaves or powder) and stir until dissolved. 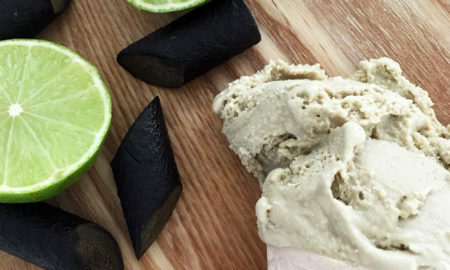 Pour into moulds and set in fridge for 3 hours.